Hope all of our family and friends have a wonderful 4th of July! How do you like our centerpiece? 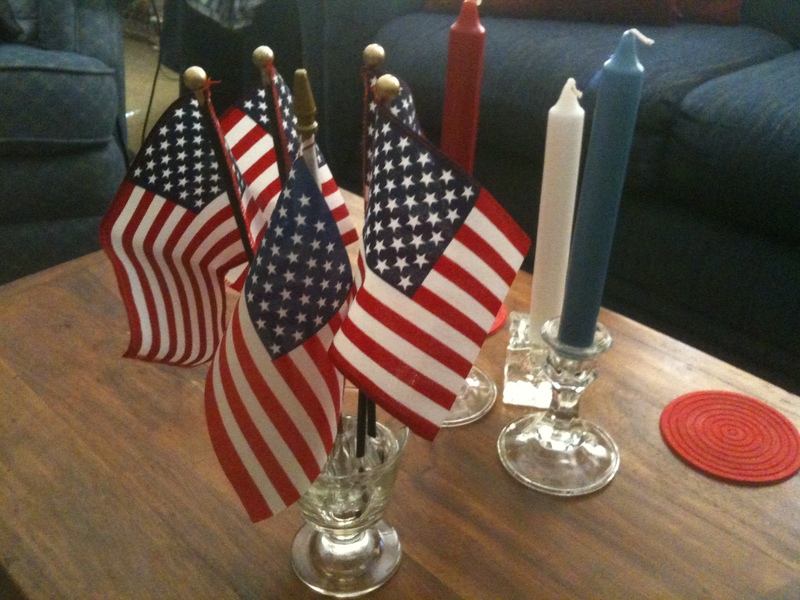 Thanks to our son’s girlfriend who brought us the candles and flags when they visited us on Saturday to attend Celebrate Freedom at South Fork Ranch (yes, that’s the ranch where the popular TV show “Dallas” was filmed back in the 80’s). I used a small frog (the kind for flowers) inside a small stemmed glass to hold the flags, and I found one small flag that we already had which I added to the arrangement. Looks very patriotic!